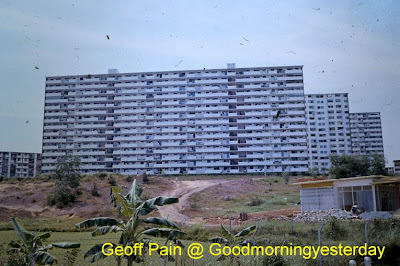 I asked you to identify the old buildings in these photos. 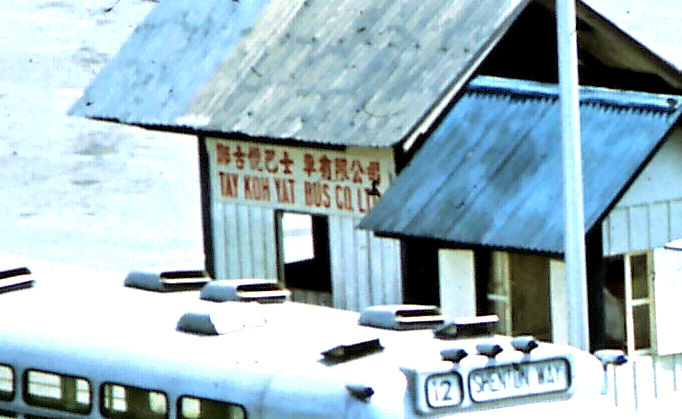 The first was taken by Geoffrey Pain’s father sometime in 1965-67 and the second is from the collection of the National Archives of Singapore, which carried this caption; “Housing Board flats for sale in Queenstown – 19/2/1964”. The correct answer (I think ) should be Blocks 81, 82 & 83, Commonwealth Close. So I went down this afternoon (the place is only 5 km from my home) and took a few photos to confirm. But unfortunately due to the presence of many trees, it was impossible to get a ‘second shot’, which had an unobstructed view of these flats. The best I can manage are these. And Keith was right. The view from the top of Block 81 was magnificent. The place was deserted. The few old folks that I saw, if they had been living there since 1965, must have witnessed the spectacular changes that had occurred in front of their very eyes over the past four-and-a-half decades. ; and still occurring even at this very moment. I think both the photos below are of the same building. The first one (colour) is from Geoffrey Pain and was taken around 1967. 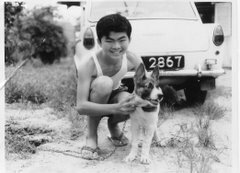 The second one (black and white) is from the collection of the National Archives. Happened to stumble upon it and thought there is strong resemblance. I think readers should have no difficulty in figuring out where this place is. After all, how many HDB estates were there in Singapore in 1967? PS - I think Geoffrey had accidentally flipped his photo horizontally. After I flipped it again, it is obvious that the two photos are of the same building. In fact, it is interesting that two photographers should take a photo of the same building from almost the same angle; although there is likely to be a time gap of 2 to 3 years. I always ask the question what would happen to Early Man should he be down with poor vision. Certainly a dead duck when he cannot see the enemy. An accident victim perhaps; hit by a fast-moving cart when crossing the “road”. I read in an ophthalmology publication that it was Marco Polo who first saw elderly Chinese folks using spectacles around 1270. And there were only a few privileged few like the monks and scholars in Western Europe, who held the lenses in front of their eyes or balanced them on their noses. Around the world, medical professionals will be familiar with the San Francisco-based American Academy of Ophthalmology. The Academy established the Museum of Vision and the Museum has a good collection and exhibits on everything you need to know about vision and eyewear. It even has an on-line exhibition site. Now why am I on this subject about vision? Photo 2: If not for the spectacles, I could have walked straight at this granite boulder. 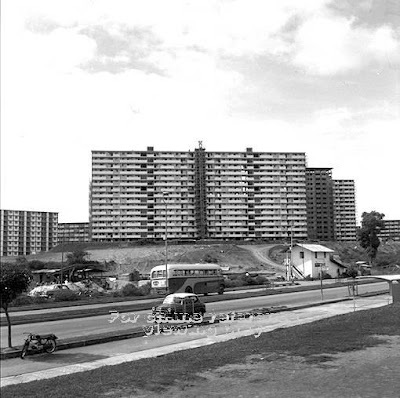 Residents who live bounded by Cashew Estate, Dairy Farm and Petir Road areas would not have known there were huge granite boulders as in this picture. For many who have met me, they know I am bespectacled. I have been wearing them since the day I went to this optician called F.J. Isacs at The Arcade in Collyer Quay in 1966. I started with a bad vision of 600 degrees (still better than Victor Koo) but in my matured years, my vision has made spectacular progress. Soon it shall be a question of when rather whether I can throw away my spectacles. Photo 3: The optician told me it came from Porsche Carrera line (Above). Though I can’t afford a Porsche, I could still wear one. Then it hit me that I even had one from Volkswagen Motorsport (Below). Recently I reached into my drawers and found I had some 8 dusty pairs of spectacles. The spectacles came in all type of designs but I noticed I had a preference for tortoise shell finish and in browns. Some were metal frames with glass and plastic lenses. I wondered how many spectacles I have worn from the day I went to work till now. Assuming I wear a pair of spectacles for an average of 2.5 years and a good 30 years has have passed from then and now, that means there could have been 12 pairs of spectacles in total. It is rare that I still have some 67% in my possession. 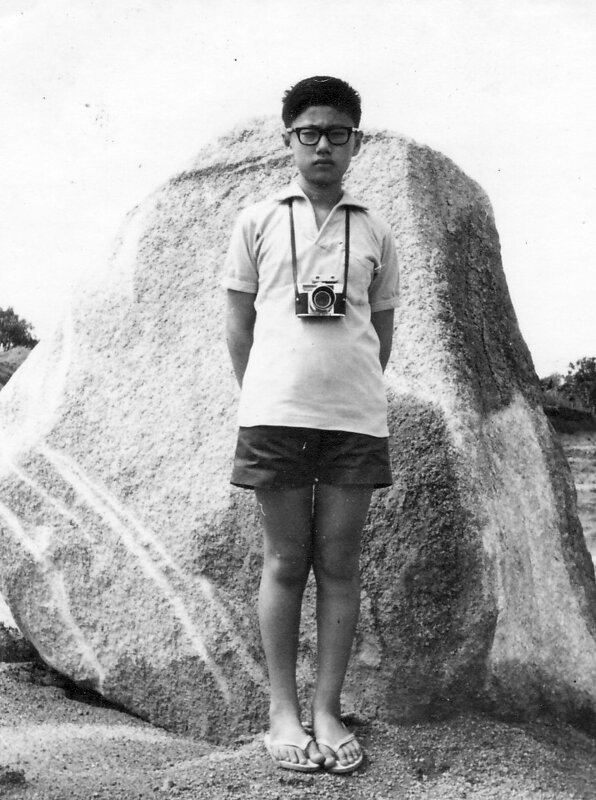 It is interesting to see the fashion trends of eye wear over time though my spectacles. I wish I knew the actual purchase year for each pair. Checking the spectacle cases, I found that I only went to see three opticians in the same period; CC Chui Optical Company, Siglap Optical and Pavilion Optics because they were closed to my place of work or my residence. Photo 4: The slit lamp inside the examination room of a public hospital. Each examination room is called a “lane”. One of the things I found when one visits an optician; eye-sight is tested in darkness with a manual refractor. 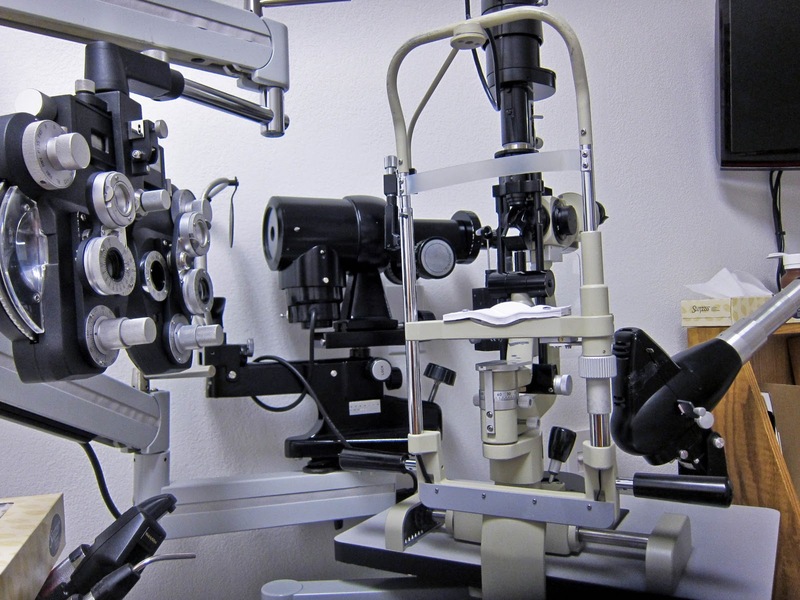 The optician will make a judgement based on one’s reading of the Snell Chart. When I stepped out of the shop with the new spectacles, I found something was not right. 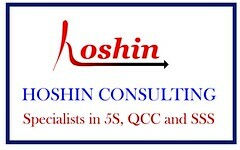 Most of the time, the optician attributed that to needing time for sight adjustment. Finally when things became critical, I visited one of our public hospitals to get a thorough eye check-up. Surprise! I was tested under bright lights by the optometrist using the auto refractor. The slit lamp was employed to magnify my eyeball and to see the eye structure in 3D. To my question, she replied that people see things in bright lights and to test under darkness condition presents errors for lens prescription. Besides checking for refraction, I also had my eyes scanned for other possibilities. Once done, I was given a prescription and off I went to the optician to order a new pair of frames. From that day, I never had dizziness or seeing slight curvatures. 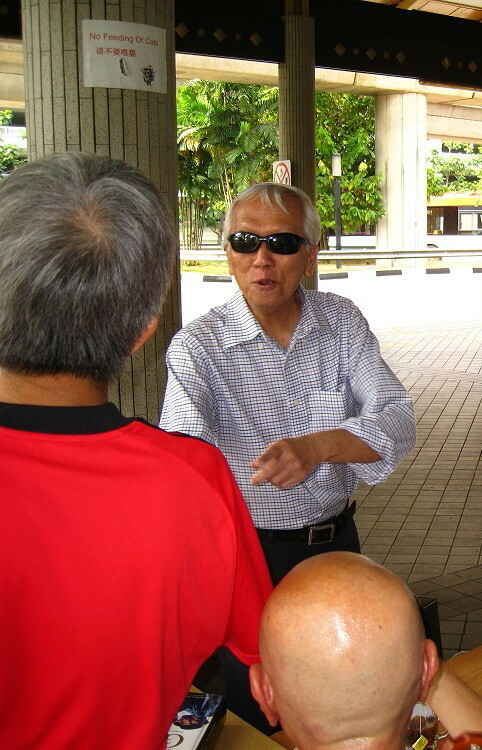 Photo 5: Andy Lim in sun-glasses. Do you know which brand is used by “Yul Brynner”? I like to think that spectacles can also be heritage items. Would you think the National Archives of Singapore be interested in my spectacles? While you think for an answer, I am already reading up on the subject of 6/6 vision by removing the worn-out lens in our retina. I say this because I am hoping that I can join Andy Lim of soon. I think some of the readers who have been making comments at this blog lately should have no difficulty identifying this place. Hope it triggers more memories for you. This is a photo of the former Princess Elizabeth Estate School taken in in 2007. Is this the same place as that in the black and white photo? Hope readers can provide more details. But how about this one? I think this one is not so easy. Photo courtesy of Geoffrey Pain. Below is a close up on the ticketing hut - where bus conductors submit their collections and collect their tickets. The words say, in both English and Chinese; "Tay Koh Yat Bus Co. Ltd". 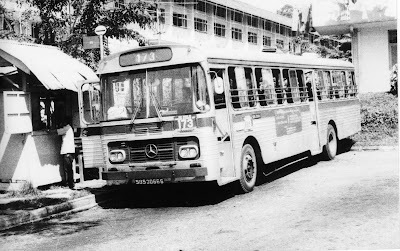 The sign on the white bus says "12" and "Shenton Way". The words on the side of the front bus says; "Paya Lebar Bus Service". The answer to the Old Building Quiz No. 16 is: Queenstown Library. 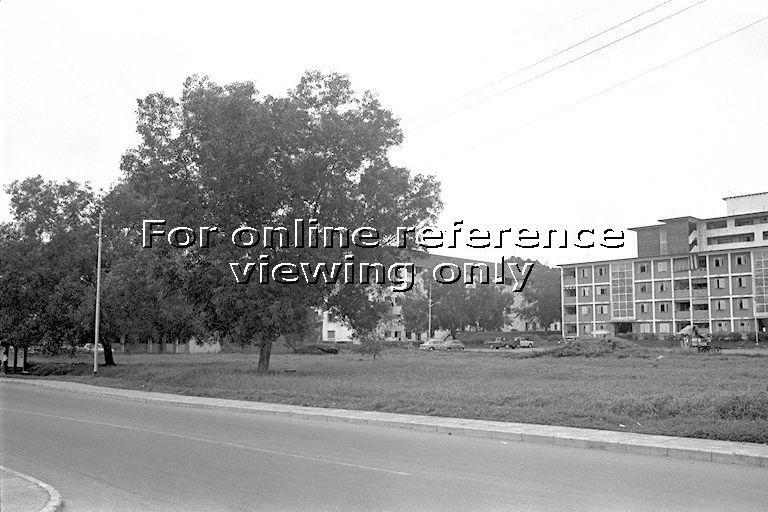 The black and white photo is of the proposed site of the Queenstown Library at Margaret Drive. I saw this photo at the National Archives website a few years ago; but when I try to look for it now, I am not able to find it any more. So I am not able to tell you the date of the photo. I trust that I have not made a mistake. I hope some of the older readers who are familiar with the old Margaret Drive can confirm that this photo is indeed of Margaret Drive. The second photo technically is not a ‘Now’ photo because I took it about 2 years ago in October 2009. Among all the public libraries, Queenstown Branch is my favourite. I have been going there for decades. I can remember clearly what the layout was like before the renovation. As you entered the library, there was a broad staircase on the left leading to the second storey, the Adults Section. Straight ahead were the service counters; and to the left would be the Children’s Section. My children spent many hours there when they were small. Here’s another shot of the Queenstown Library taken from an angle that you are unlikely to be able to do now, or ever again. I took this photo from the multi-storey car park next to the NTUC Fairprice Supermarket. This car park was recently demolished together with everything else around it. In a few years’ time, you will see a completely new Margaret Drive. I know many Singaporeans harbour fond memories of the old Queenstown, especially Margaret Drive. My earlier post about this area drew an incredible 80 comments! 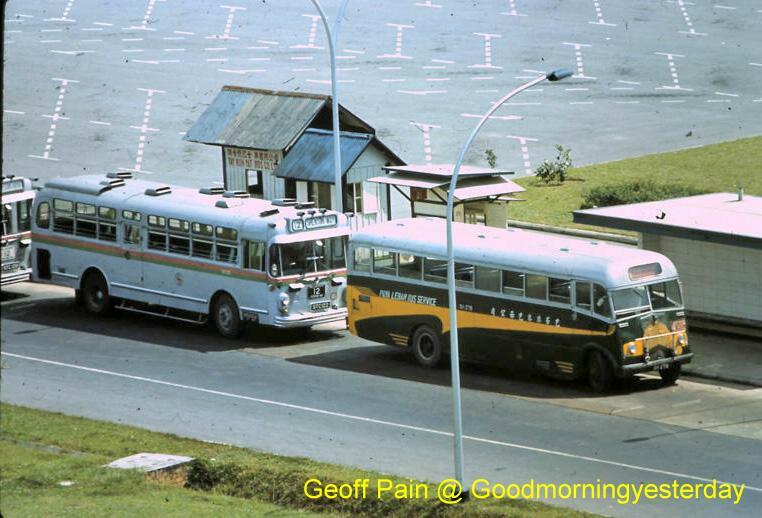 I hope this article has stirred up your memories of the old Queenstown Library. Do share them with our readers here. 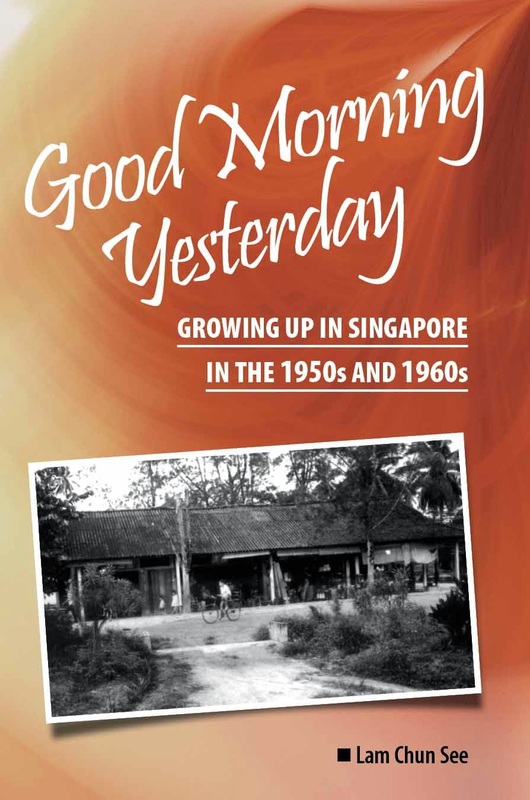 You can also share them with other Sinaporeans at the Singapore Memories Project website here. Related Post: Gather moments while you may. The old building that I am referring to sits on the land in this photo (from the National Archives Collection). If I showed you the photo of the building, you would certainly recognize it. So do you know the name of this building? Hint – there are lots of demolition and development going on near it now. But it is still stands.